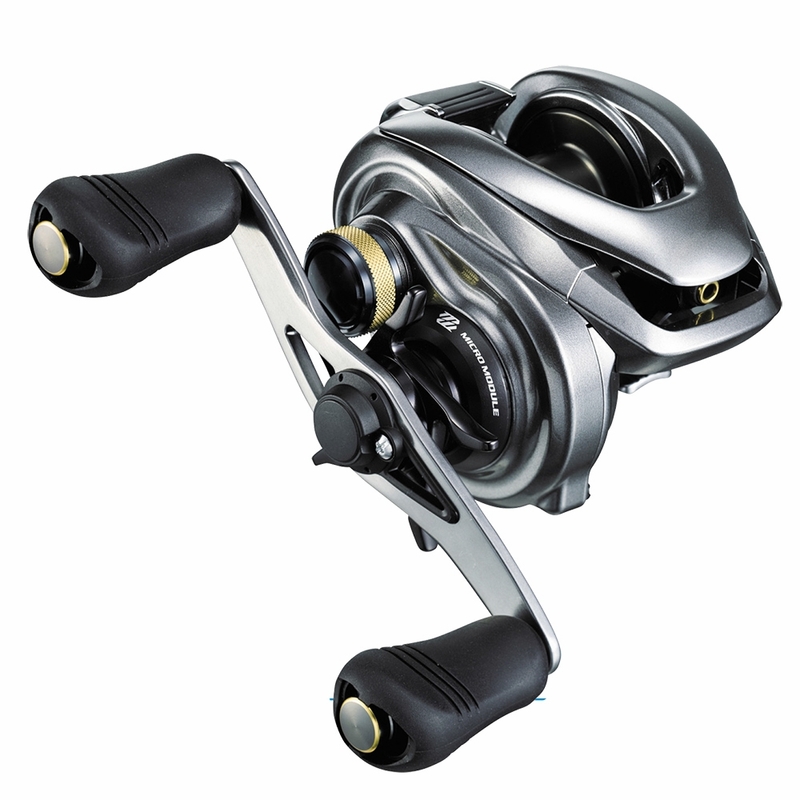 The Metanium DC is the flagship model of the Shimano Europe baitcasting reels range. Besides the very impressive technology like 9+1 high quality bearings, X-Ship, HaganeBody, MicroModule, S3D spool, etc, is the biggest advantage of this reel in the braking unit. The braking is done with the digital I-DC5 system. In this braking system a computer chip is built which calculates 1000x per second the exact right braking power of the spool, during the cast. The angler only has to choose a pre-set (type of lure, type of line) and the reel will do all the braking for the angler. This results in: easy fishing, very far casting, less knots/birdnests and less problems in casting with crosswind or other though casting conditions! It’s an all-round baitcasting reel, capable of casting lures from 5 grams up to 30 grams easily. It’s perfect for blackbass fishing, pike fishing (up to medium sized lures) and zander/perch fishing with light lures.